Engineering world leader and Marketing Derby Bondholder, Rolls-Royce has re-confirmed its commitment to East Midlands' orchestra and fellow Bondholder Sinfonia Viva and has plans to further strengthen the partnership. Together they will continue promoting science, technology, engineering and maths (STEM) subjects to younger people in line with Rolls-Royce's target of reaching 6 million people through STEM education programmes and activities by 2020. Both organisations have been working together for 20 years and the partnership has been extended for a further three years. As well as continued support for Viva's concert programme and education residences there are plans to expand the joint STEM work carried out by Rolls-Royce employees and Viva musicians. 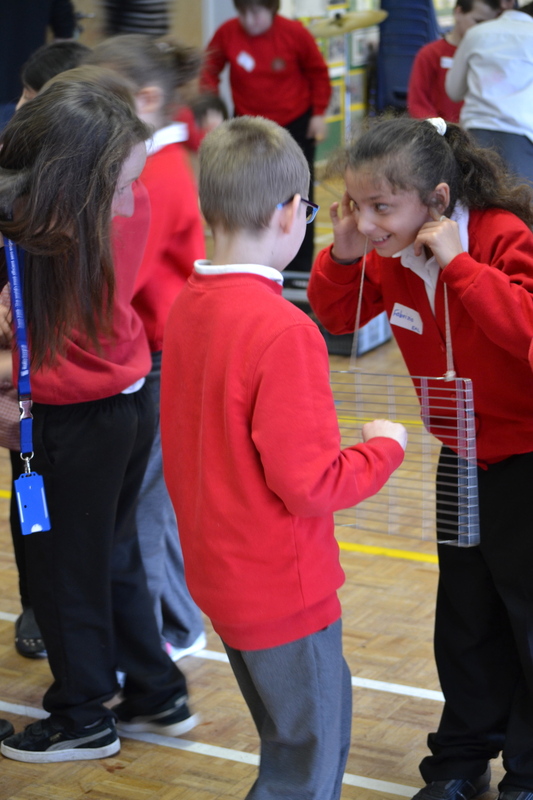 These will build on recent projects such as the development of workshops by Viva and Rolls-Royce STEM Ambassadors to highlight the science behind sound vibrations to year four pupils at four city primary schools. The activities included visualising sound vibrations in a number of ways ranging from playing a double bass to using an oscilloscope to see sound waves. Similarly, at the Darley Park concert STEM ambassadors also organised family activities - inviting young people to build balloon rockets before the popular outdoor classival music concert programme which was performance by Sinfonia Viva and supported by Rolls-Royce.